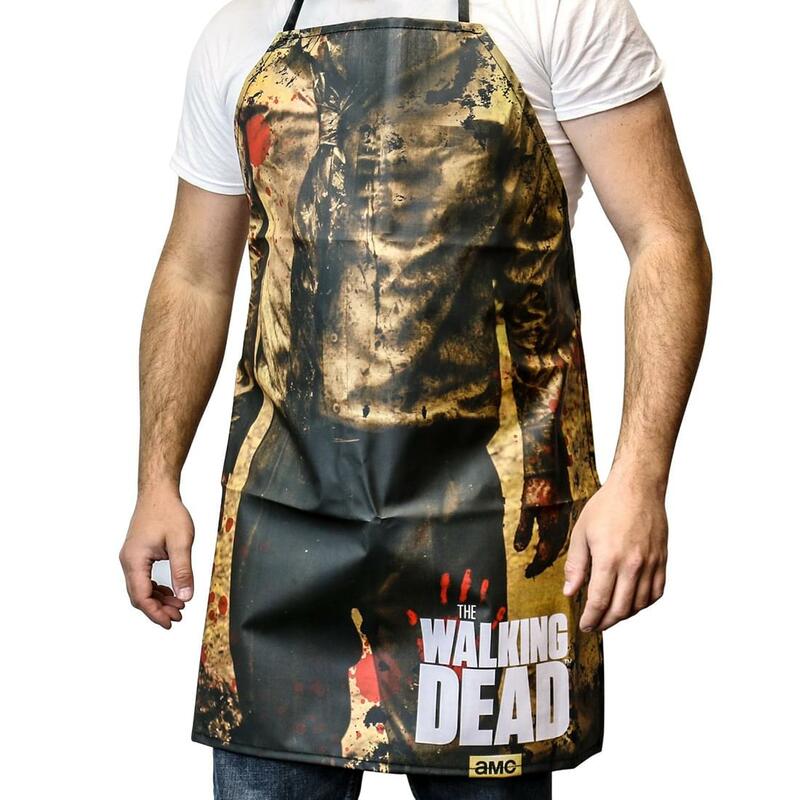 This creepy apron is the perfect gift for any foodie or fan of the smash hit AMC show, The Walking Dead! The gruesome design on The Walking Dead Walker Torso Apron features a Walker torso with the official logo. Measures approximately 32-inches tall x 28-inches wide (at base). Made of a Cotton / Polyester Blend. Officially licensed The Walking Dead collectible. 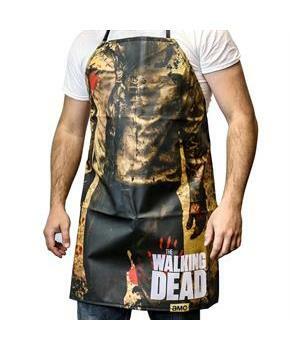 This creepy apron is the perfect gift for any foodie or fan of the smash hit AMC show, The Walking Dead! Apron features a Walker torso with the official logo. Measures approximately 32-inches tall x 28-inches wide (at base). Made of a Cotton / Polyester Blend.